My first reaction: you got to be kidding me!? How is this a "portable" console? Well, it seems like Nintendo just loves making things bigger or making them lighter with little change at all. 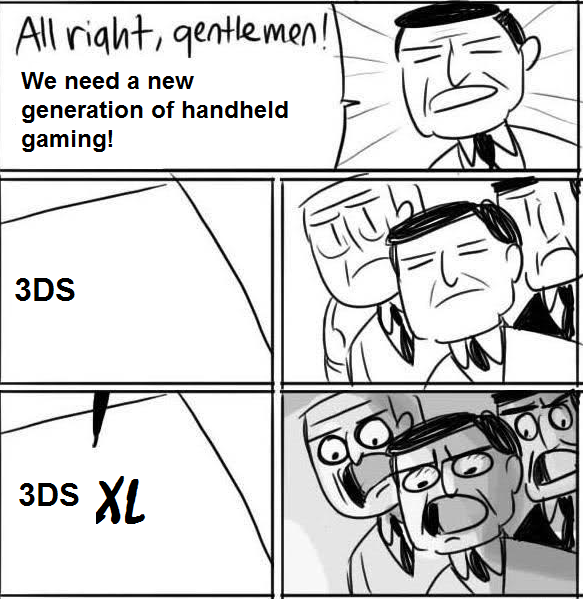 With that business strategy firmly implanted in their minds, Nintendo has just announced a larger version of its 3DS console which is called the 3DS XL not surprisingly. Compared with its predecessor, the 3DS packs 90 percent larger screens, and a body that's 46 percent larger (measuring 93 x 156 x 22mm). The new console also features a longer battery life, being able to run from 3.5 to 6 hours on 3DS software and 6.5 to 10 hours when running 2D games. Available in white, red and black, as well as silver and black color variants, the new 3DS XL will retail at US$235 in Japan on July 28, while gamers in the US will to purchase blue and red variants on 19 August at US$200. Not sure about the release date of other regions at the moment. My advice: if you want portability, don't buy the 3DS XL. Sega began streaming a new song introduction video for the Hatsune Miku Project Diva F musical rhythm game on Thursday. The seven-minute video highlights eight songs from the PlayStation Vita game, including "Odds & Ends" by supercell 's Ryo . Hatsune Miku Project Diva F is the finalized name for the title Sega codenamed as "Next Hatsune Miku Project Diva" until last month. The game will feature an AR mode that uses the PS Vita's camera to superimpose Hatsune Miku in the real world. Sony will release a PlayStation Vita Hatsune Miku Limited Edition in Crystal White as a bundle with the game on August 30. Regular editions of the game will also ship on the same day. The PS Vita Card version will cost 7,329 yen (about US$92), and the downloadable version will cost 6,600 yen (US$83). Pumpkin: All of my favourites songs! Ryo's new song ODDS&ENDS sounds really cool and so does 8#Prince's Weekender Girl. Ah I wish I had a PSP. Evangelion: 1.0 You Are (Not) Alone is your typical action, mecha, sci-fi anime featuring a boy suddenly plunged into a world of war against creatures called Angels. For a generic storyline, the action is quite good and the emotions felt are real indeed. If you have watched other popular mecha sci-fi anime such as Gundam, Bokurano or Tengen Toppa Gurren Lagann then you will find the storyline rather generic and predictable. Basically the film starts off with a average boy named Shinji Ikari. He is your typical average guy that noone really takes notice off. One day he is suddenly summoned by his father and is told to pilot an Eva after a sudden attack from the Angels occurred. Of course, he is rather relunctant and heisitant at first but then he dradually overcomes his fear and takes on the challenge. With many doubts of his own capability and his willpower to do as he is told; Ikari slowly accepts the truth and the heavy responsibility he is given. The story is quite predictable and the way that the Angels are dealt with reminds me of Bokurano; that is that the "cores" of these creatures have to be destroyed in order for them to be completely shut down. Anyway, even though the story was generic, the emotional outbursts from the characters really made the anime enjoyable to watch. The art and animation was simply stunning from the Angels to the Evas. The characters all looked great and had looked stereotypical of their personalties. The Angels and Evas were simply imaginative and all had their unique look and style. Backgrounds and sceneries were also beautifully illustrated in various ways. One scene had a bright sunset with light and shadowing cast upon the city. It is evident that a lot of work has been put into improving and detailing the graphics in the film. Sound quality was not bad and voice acting was pretty normal for these bunch of characters. Rather, their voices weren't too noticeably unique or different to your typical mecha sci-fi anime. Perhaps I have watched too many sci-fi anime now and can;t really tell the difference between the character's voices. Anyhow, the theme songs were quite suitable and they had a nice ring to them. Time to talk about the characters more in detail. As you probably would have guessed by now, Ikari is your typical average nobody that randomly ends up in the worst situations possible. Somehow he manages to overcome his emotional problems and determines to follow his will. 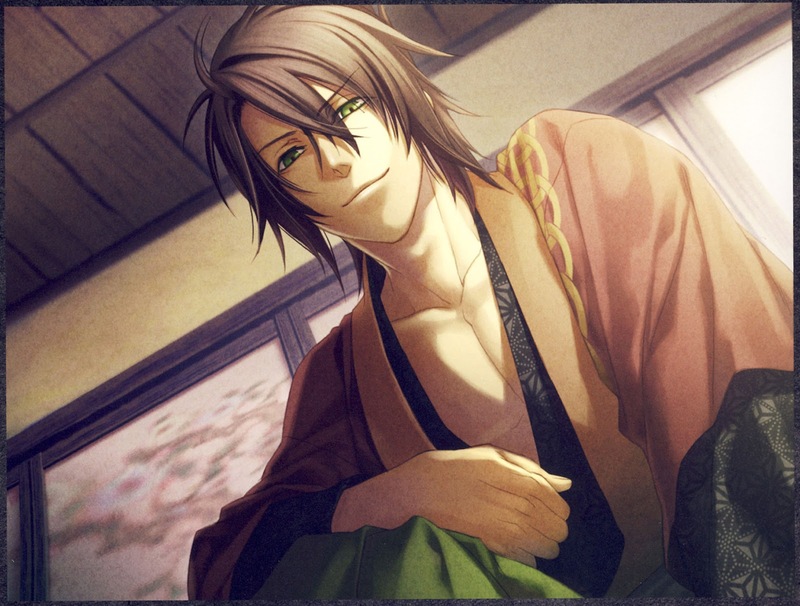 At first, he has some low self-esteem and some self-pitying moments; but he gets better towards to end of the series. Some people may feel some anger or hatred towards that kind of attitude, but that is what develops a strong character in an anime. Someone that has enough willpower to change their attitude and view of the world around him. I found that I could understand Ikari's feelings of pity in many of the scenes throughout the anime. As for the other characters, I will not mention much about them here; but they all contribute in helping Ikari with his problems. Overall, I quite enjoyed the adrenaline, emotional struggles, and the outbursts or energy that this film has to offer. Even though this film is a remake of the original Neon Genesis Evangelion TV series, it has its own reconstruction of the story; which was nice. I personally have not watched the original series so I can't really make a judgement here whether the films are better than the TV series but I really did enjoy the film from start to finish. So the story was rather linear and generic but the action scenes and dramatic moments were engaging. The Angels, Evas, and the characters all looked great! Sceneries were well detailed and nice use of lighting in the film. Voice acting was rather well done but seems a bit bland compared to other mecha sci-fi anime. I kind of liked the main character and I did come to understand his feelings a bit. The other characters were also memorable and likeable. Apart from the linear storyline, the action scenes were well made and was entertaining! This film could be said as more of a fan service than a serious mecha sci-fi film, so expect to see some cute characters and huge unbelievable battles.